Make no mistake about it. For you to become a top secret agent, you must have the exact profile, and skillset, the agencies are looking for. This is your personal spy training curriculum! Make sure you stand out from the crowd by learning the ability to blend in! Although spying is not for everyone, many of the things you need to know can be learned. There are certain character trades that are common amongst all spies. These aren't skills you can acquire, you must possess these characteristics if you want to be a top nodge agent. Spying is not for the feeble minded. You put yourself in unknown, and possibly dangerous, situations, with only your skills and wits to keep you out of harms way. Ask yourself: do I have what it takes? There's a good reason why they've called spying "intelligence". You need to learn many skills and abilities, and fast! Each new operation calls for different skills, cover and legend, and you must be able to learn and internalize them in days. Spies find themselves facing all kinds of problems, each one calling for a fitting solution. Unfortunately, most of the time you cannot fall back on some super-duper gadget, issued by "Q", but you must make do with whatever you have at your disposal. Become a Spy... a Real One! 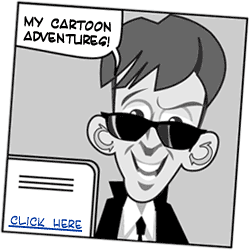 Here's our e-book explaining how to become a real life secret agent, free for subscribers to our newsletter! 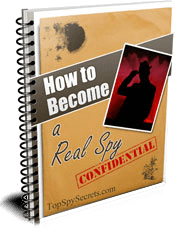 While you can learn the skills to become a super duper spy right here at the website, this e-book will reveal to you how to enlist with secret services across the globe. A big part of becoming an agent is learning all the secrets that are used to keep things under wraps. You have to be able to pass information and do your job without being noticed or caught in the act. While there are a few things that they do to accomplish this, nothing is quite as important as your disguise. If you are looking for the best way to watch people without anyone ever knowing, follow along on the mission and pick up a few tips on how to trail someone as invisibly as possible. Codes and ciphers are all about keeping secrets. By nature, a secret agent has to be... uhm... secret. If people know that you are looking for information, they won't tell you their own secrets. If they get caught with secret information, spies wouldn't be able to do their job or their life could be in danger. Even though ciphers and codes are meant to be difficult to understand for the ordinary person, there are ways through which you can break codes. Actually, there are people who either as part of a job or just for fun, spend their time trying to crack codes and ciphers. Tools and gadgets that real life spies use. Surveillance Equipment - Equipment that is used by spies to collect information when you can't be around to 'listen in', or to monitor their subjects. The equipment is not necessarily visual but it can also be audio, email, fax or postal interception as well. 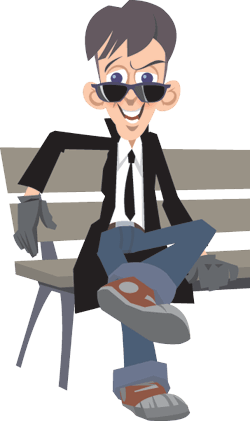 Audio Equipment - To be the best secret agent around, you'll need some pretty specific tools. Audio equipment allows you to do your job without anyone catching you. Spy Satellites - Spy satellites are a special type of artificial satellites intended primarily for espionage purposes. A good memory is an agent's most used weapon. In fact, even as a student, or a manager, or an adolescent, a good memory can help you in life. A good memory can be a life saver when studying for an exam or when you're grilled during a sales presentation. The mysterious and secretive world of spies is unlocked for visitors who are daring enough to test their aptitude, courage and skills at the International Spy Museum. This is a place where clandestine activities are encouraged, intelligence is applauded and the ability to figure out hidden motives will move you to the head of the class.